Franklin School spent a busy summer getting ready for September. The classroom floors have been waxed, and the library has undergone a facelift with new sheetrock, carpet, and unit ventilator system. The furniture and books are moved back in, and the library will be open for students on the first day of school. 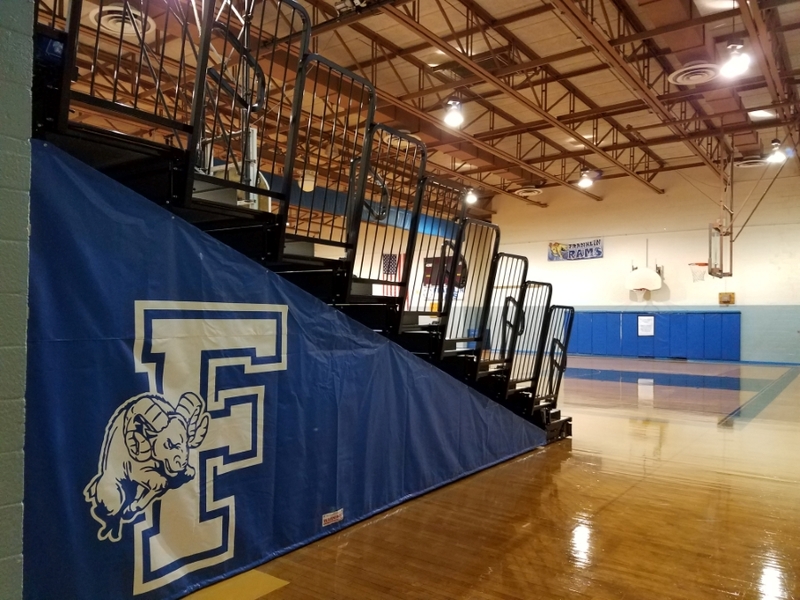 We are thrilled to unveil our new gymnasium bleachers. Our custodians are in the process of updating the home economics room, which will serve as our enrichment classroom. We are excited to make great use of these newly updated spaces during the coming school year.